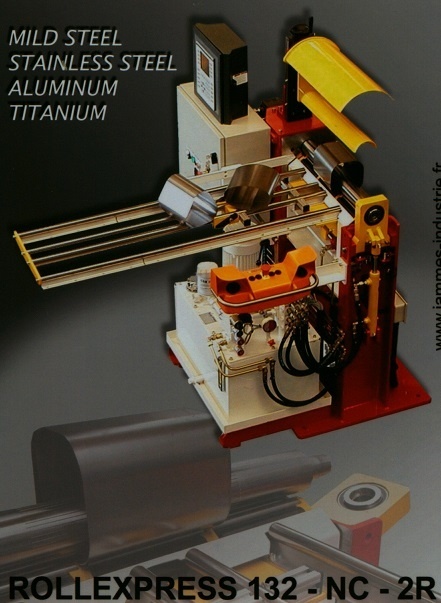 Salvagnini builders of metal fabricating equipment and systems. 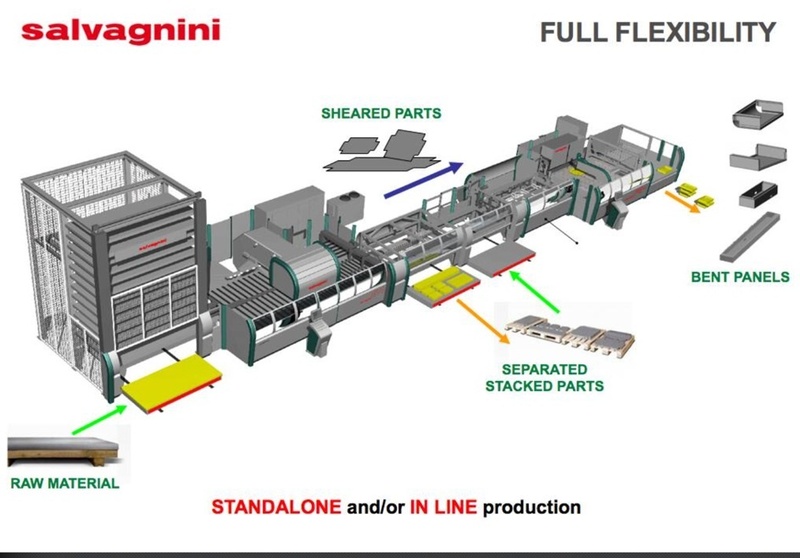 Salvagnini's P4 Bending Systems are world leaders in metal automated bending solutions. P1, P2Lean, P4L ... longest bend lengths, many features to enhance productivity, always a good panel, designed for One Piece Flow with Mac 2.0. Salvagnini offer Punching Systems, S4 Punch/Shear, SL4 Punch/Laser and S2 high speed systems. S4s are fully comprehensive systems able to shear four sides of a blank, eliminate carrier strips, reduce scrap with improved yields ... and Salvagnini's Laser Systems, L3 and L5... designed for rugged use and for FLOW. to 6KW fiber and to 6 meter table size. Full automation available. FMS lines such as S4+P4 are the industry Standard. B3 Press brakes equipped with ATA for automated tooling alignment... RoboFormer, Salvagnini FlexCell where stand-alone machines communicate producing FLOW. Salvagnini software that can go from 3D CAD to a part or panel directly. Ask about OPS and full integration with ERP ... Stream (IoT and Industry 4.0) Salvagnini is Connected!!! CMF offer rollers with automation, load and unload, feed to welding, SeamStar, CMF are built for volume producers who require quick change and precision rolling. Products like hot water tanks, transformer cases, chimneys, even BBQ covers as they require a profile that can be make on a CNC roller. ask about CMF rollers... Muffler producers, cones, lighting product,... call us 416 606 9106. 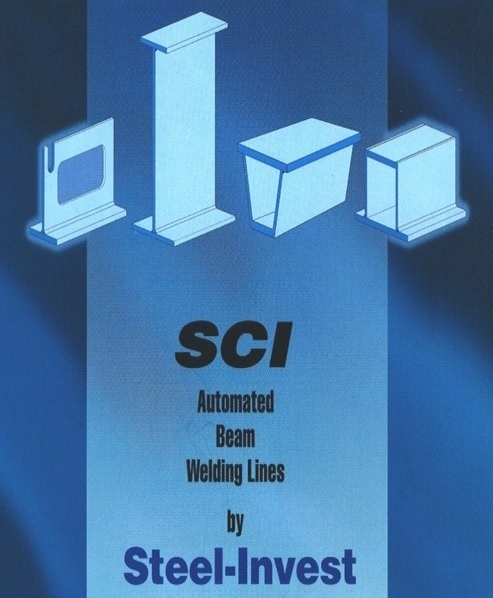 Steel-Invest build Flow Thru and weld-in place lines for beam and large beam like production. Beams for bridges, chassis, heavy construction, tapered beams, box beams, and other beam products... Flow thru lines provide for lenght. Welded beam lines as flow thru have set-up area and welding station and a transfer area. The weld Station is programmable. The beam entering is clamped both horizontally and vertically. It is drive thru by powerful capstans hence able to provide for radius if required. Welding is top side, capacity to large throat and angle. Power can be to meet demands of very heavy application... call for details. 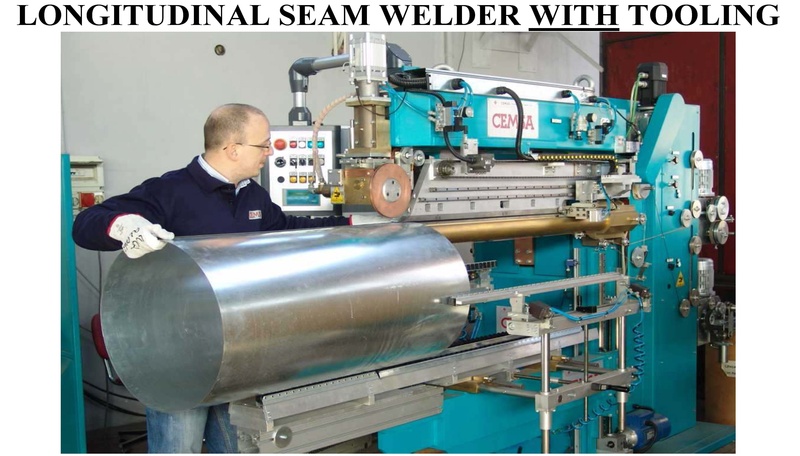 CEMSA offer welding machines for seam and for spot welding. Roof is a spot welding solution offered as semi or fully automated. "Thank you for your giving us a flexible solution that offers great ROI and outstanding performance!" Let that be your comment. Call us - we can offer custom build solutions for production of wall systems, panel goods, enclosures, ... for furniture, lighting, electrical, ask! !